This is a Galgo Espanol, not a Greyhound. If you are interested in this breed, please peruse the Galgo section of our website. 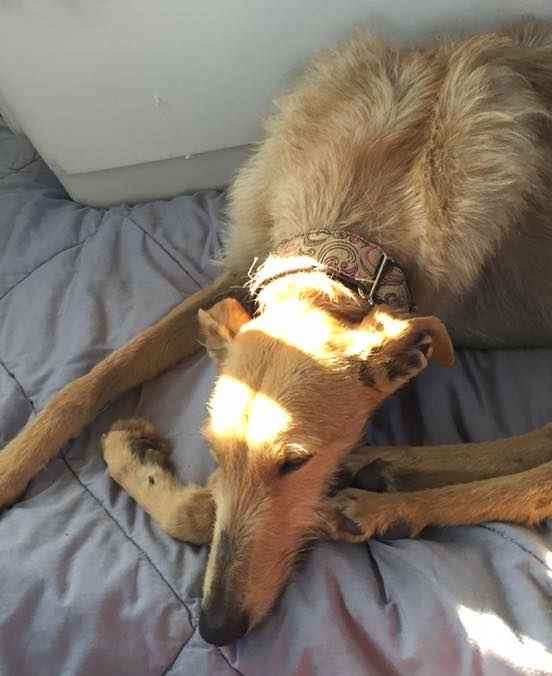 Centurion is a 5 year old, fawn, rough (wire) coated female Galga coming from Scooby Medina. She is very friendly, sweet, and has a lovely personality. Centurion is a real snuggler. She arrived from Spain 04/11/2016 and her foster home fell in love with her as soon as they met her. She will be staying with them permanently.